Obama Rhinestud shirt - Show your support for Obama with Bling! 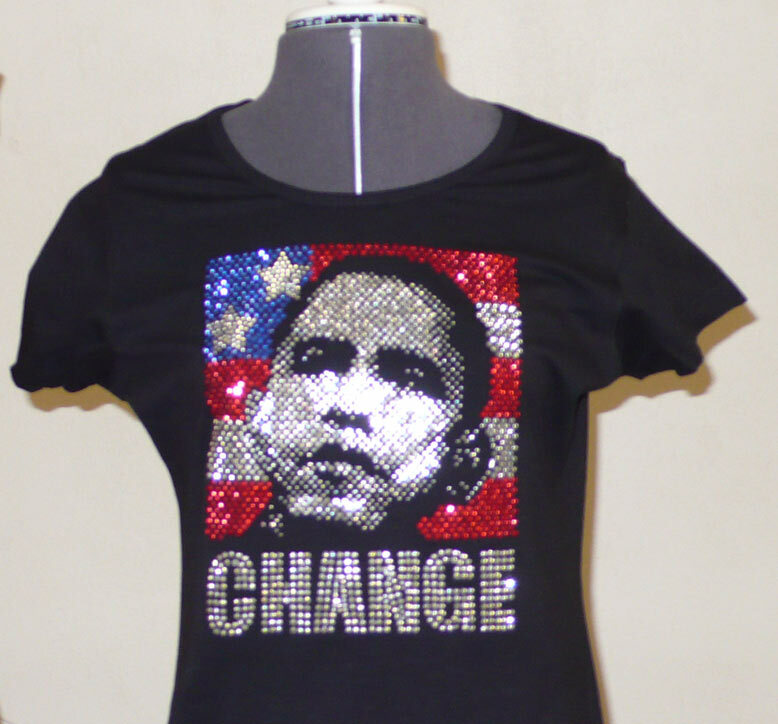 Over 1500 rhinestuds make this shirt a must have. With rhinestuds it is perfect for men and women.